Last May, French President Francois Hollande reorganized the Elysee to create a new position, the Minister of Transforming Productivity (in French, Ministère du Redressement Productif). The goal was to make French industry more competitive and efficient. Hollande named Arnaud Montebourg, a socialist known for his capitalist sympathies, to head the post. But in the eyes of one American CEO, the plan is not working. Via FTAlphaville’s tumblr comes a letter addressed to Montebourg from the CEO of tiremaker Titan International about the company’s attempts to save a factory in Amiens. Despite his best efforts, CEO Maurice Taylor cannot hammer out a deal with French unions, which he blasted as overpaid and lazy. I have visited the factory a couple of times. 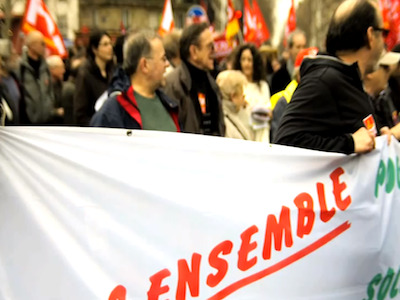 The French workforce gets paid high wages but works only three hours. They get one hour for breaks and lunch, talk for three, and work for three. I told this to the French union workers to their faces. They told me that’s the French way! Taylor goes on to warn that France will lose all its domestic tire producers if the government continues to meddle in labour negotiations. I have just returned to the United States from Australia where I have been for the past few weeks on business; therefore, my apologies for answering your letter dated 31 January 2013. I appreciate your thinking that your Ministry is protecting industrial activities and jobs in France. I and Titan have a 40-year history of buying closed factories and companies, losing millions of dollars and turning them around to create a good business, paying good wages. Goodyear tried for over four years to save part of the Amiens jobs that are some of the highest paid, but the French unions and French government did nothing but talk. The Chinese are shipping tires into France – really all over Europe – and yet you do nothing. In five years, Michelin won’t be able to produce tire in France. France will lose its industrial business because government is more government. The US government is not much better than the French. Titan had to pay millions to Washington lawyers to sue the Chinese tire companies because of their subsidizing. Titan won. The government collects the duties. We don’t get the duties, the government does. Titan is going to buy a Chinese tire company or an Indian one, pay less than one Euro per hour and ship all the tires France needs. You can keep the so-called workers. Titan has no interest in the Amien North factory.